Upstand Calculator - Express Corporate - Promotional Products - Delivered Fast! Photograph frame with desk calculator and clock. 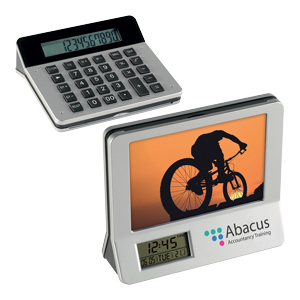 This multi purpose desk item has date, time, temperature and alarm functions. The ultimate desk accessory!